Manas, n. mind (in its widest sense as applied to all the mental powers), intellect, intelligence, understanding, perception, sense, conscience, will, in philosophy. the internal organ or antah-karana of perception and cognition, the faculty or instrument through which thoughts enter or by which objects of sense affect the soul; in this sense manas is always regarded as distinct from atman and Purusha, 'spirit or soul' and belonging only to the body, like which it is except in the Nyay a considered perishable ; for Samkhya and Vedanta, it is sometimes joined with hridor hridaya, the heart ; with cakshus, (the eye) ; the spirit or spiritual principle, the breath or living soul which escapes from the body at death ; thought, imagination, excogitation, invention, reflection, opinion, intention, inclination, affection, desire, mood, temper, spirit,...- Abridged from Monier Monier-Williams. A Sanskrit-English Dictionary. Manu, - thinking, wise, intelligent- 'the thinking creature', man, mankind, also as opp. to evil spirits, the Ribhus are called manor napdtak, the sons of man,; the Man par excellence or the representative man and father of the human race (regarded in the Rigveda as the first to have instituted sacrifices and religious ceremonies, and associated with the Rishis Kanva and Atri ; in the Aitareya Brahmana, described as dividing his possessions among some of his sons to the exclusion of one called Nabha-nedishtha, he is numbered among the 31 divine beings of the upper sphere, as father of men even identified with Prajapati; but the name Manu is esp. applied to 14 successive mythical progenitors and sovereigns of the earth, described Mn. i, 63 and in later wks. as creating and supporting this world through successive Antaras or long periods of time, the first is called Sviyambhuva as sprung from Svayam-bhu, the Self-existent, and described in Mn. i, 34 as a sort of secondary creator, who commenced his work by producing lo PrajJpatis or Maharshis, of whom the first was Martei, Light ; to this Manu is ascribed the celebrated ' code of Manu.- Abridged from Monier Monier-Williams. A Sanskrit-English Dictionary. The mind is known in the Vedas and other Hindu scriptures as manas. Manas is not the same as the mind in modern science. In Hinduism manas acts like a receptacle for the senses where memories and perceptions are stored and used by intelligence, the higher mind to make decisions and make sense of the world. Manas is considered the lord of the senses because it directs the senses and keeps them moving among the external objects. Manas is also one of the higher tattvas of Nature (Prakriti tattva) above the elements and the senses. Its presiding deity is Indra and elemental deity is Vayu (air). Symbolically it is compared to the heaven of the gods. In philosophical terms manas is an obstacle to liberation. It is fickle and vulnerable to the impurities of desires and attachments. Hence, the scriptures identify it as the source of suffering, modifications (vrittis) and afflictions (klesas). The various types of yogas suggested in Hinduism are meant to stabilize the mind and free it from duality and objectivity. When the mind is absorbed in itself, as in deep sleep, one enters into transcendental states and becomes united with the inner Self. This state is called samadhi. Concentration and meditation are the means by which one can overcome the disturbances of the mind and experience peace and equanimity. When the mind is tranquil, one becomes stable. A person who has stable mind is called sthithaprajna. 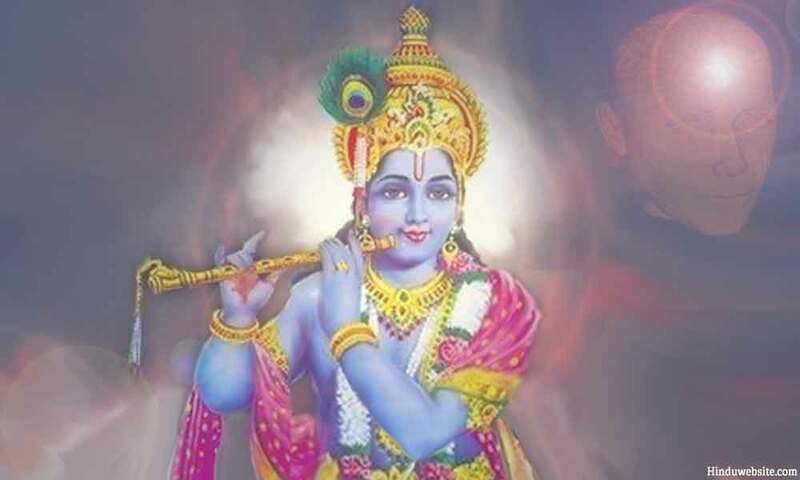 According to the Bhagavadgita, he alone is qualified for liberation. According to the Vedas, the mind represents the air element in the body. It forms part of the subtle body. According to the Upanishads the subtle parts of food become the mind in the body and nourishes it. The Vedas recognized the manifesting powers of the mind. They extol the mind as Brahman Himself. The Self is discerned not by the senses but in the mind, the heart and intelligence when they are free from all impurities. A mind filled with the purity of sattva reflects truth and the highest wisdom. When you meditate with pure mind, you will perceive yourself instead of perceiving your mind and body. Manas forms part of the mental sheath (manomaya kosa) in the body. It stores the latent impressions (samskaras) which become part of the casual body at the time of death. Manas is often compared to citta, but technically they are not the same. Citta is mind-body awareness of which manas is a part. The mind is fully active in the wakeful state, partially active in the dream state, fully inactive in the deep sleep state and absent in the transcendental state.